As professionals assisting students with the college search process we know how critical it is for you to understand which colleges and universities best serve the individual needs of a broad range of student profiles. For professional educators working with students with learning disabilities, ADHD and other learning differences the college search process can prove frustrating for both parents and students. Beacon College, a fully accredited college, has been quietly and consistently achieving the highest graduation, retention and job placement rates for students with learning differences nationwide. These students come to us not yet ready to fully engage at a more traditional college or university. However, even after one semester at Beacon, the student’s begin a transformational journey to confidently and successfully embrace their academic studies and career goals. 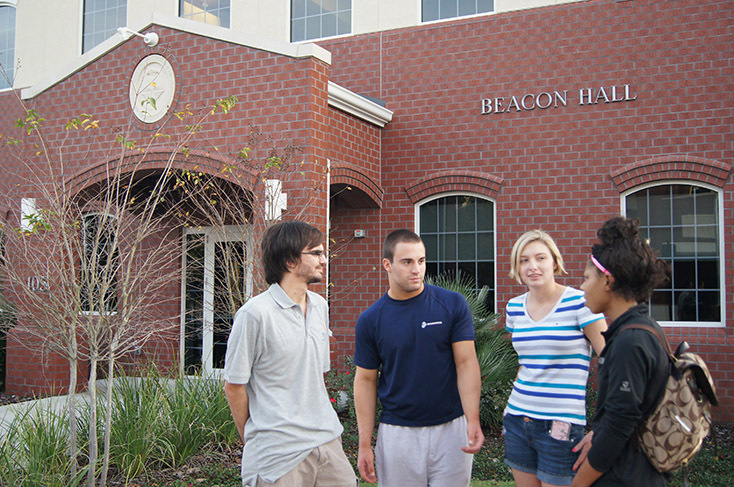 Professional educators are a primary source of student referrals to Beacon College. Educators visit our campus throughout the year to familiarize themselves with the “Beacon Difference.” We invite you to visit our Leesburg campus and ask you to refer to our website for upcoming special educator visit programs. If you are a high school educator and wish to request a visit for one of our staff to come to your school to speak with educators, students and/or parents we will do our best to accommodate your request. Beacon College recruits nationally and in any recruitment year we visit close to 500 schools across the country. To discuss your student’s needs prior to referral, please contact us. If you have a student who has applied to Beacon College this semester, you can simply complete and return this form to guarantee him or her a $1,000 scholarship. Know of a student with a learning difference or ADHD who might benefit from Beacon’s unique mission and student-centered learning model? Encourage him/her to apply, and attach this form with his or her Application for Admission. Representatives from the Office of Admissions would be happy to visit your school or program to provide prospective students with more information on Beacon College. To request a visit for your school or program, please contact us.